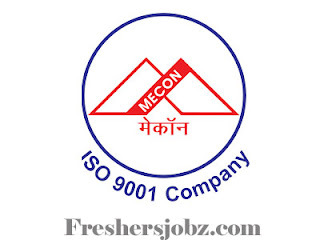 MECON Notification 2019.MECON Limited, Ranchi has released a notification for the recruitment of Jr & Sr Executives,Managers and more vacancies.Check the eligiblity and notification prior to apply for the positions. Qualification: Bachelors/ Masters Degree (relevant discipline)/ Chartered Accountant/ ICAI / Cost and Management Accountant with experience. Opening date for submission of online application: 21.02.2019. Last date for submission of online application: 25.03.2019.